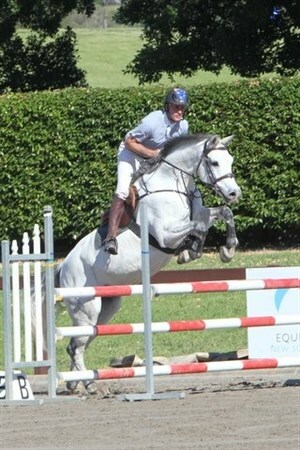 Show jumping is an equestrian event that requires the horse and rider to hurdle a series of obstacles. The size, orientation, and magnitude of the challenges are often unique to the event. The rider is tasked with the responsibility of guiding the horse to jump over each obstacle. It is worth noting that the speed at which the horse approaches each barrier is often contingent to its breadth. In most competitions, the obstacles rarely exceed 1.6 metres. There are two main types of jumping competitions. Some are based on jumping alone, whereas others test the jumping ability as a factor of time. The latter competition awards points by converting the remaining extra seconds or adding extra seconds for faults. On the other hand, the former contest, also known as Puissance, require the horse to successfully jump over a series of different obstacles in a challenging course. Hunter Class: This class rates a horse by the way it conforms to a set of manners and style. The scoring system here is subjective, and it is arrived at by judging the quality, beauty, and movement of the horse, past every obstacle within the allotted time. Jumper Class: Unlike the hunter’s class, this is not subjective, and the horse’s manners and style do not determine the marks awarded. Most scores are awarded to players or teams that finish within the shortest time and with the fewest faults. Equitation Class: This level looks at the riders ability to ride correctly and use the riding aids. In most cases, these classes are all about finding talented riders. Success in show jumping takes time and effort. The near-perfect moves you see during Olympic events are usually a product of years of practice and patience. What makes one successful at show jumping? Read on! The first thing you should work on when it comes to show jumping, is your positioning and weight distribution. You should strive to distribute your weight evenly, and stay in balance at all times. You need to master the ability to sit down, and how to take a light seat without losing your balance. Secondly, rhythm and balance are essential to show jumping. As such, you should learn how to lengthen or shorten your horse’s strides without interfering with the rhythm. This serves to help the horse jump the obstacles as intended. Thirdly, you need a trainer; having a trainer who understands what show jumping is all about is highly recommended. The best way to work on your horse, and improve your skills as a rider, is by having some eyes on the ground. A trainer also exposes you to some technical elements on show jumping, such as fillers which are found in most competitions. There you have it; some facts about show jumping. If you are a fan or a newbie to this fantastic sport, our guess is, you will find the ideas shared here resourceful.